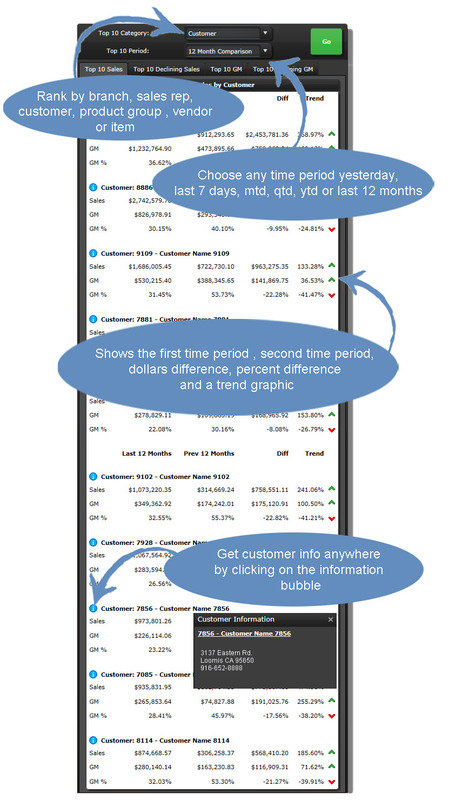 Easy to analyze data all on a single web page. 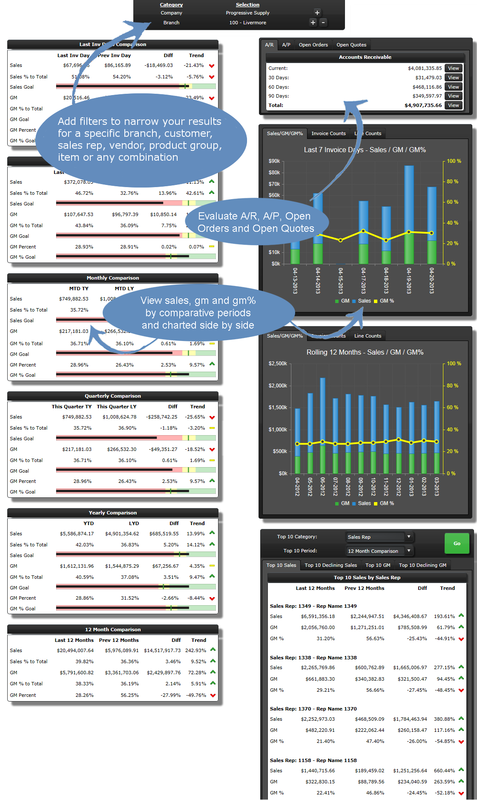 Evaluate sales metrics, goals-to-actual metrics, open orders, open a/r, open a/p and ranking by desired fields. 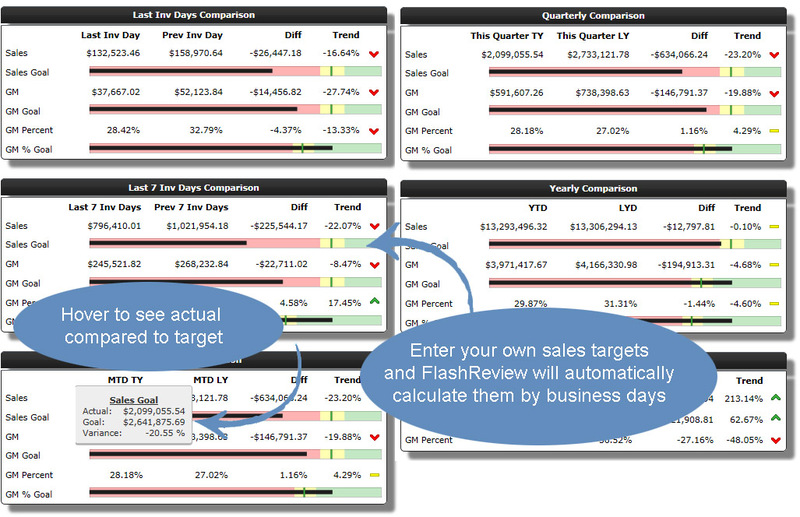 See comparison sales metrics daily, monthly, yearly, quarterly , last 12 months for any company, customer, sales rep, branch, vendor, item and product group. Define exactly what you want your users to see. 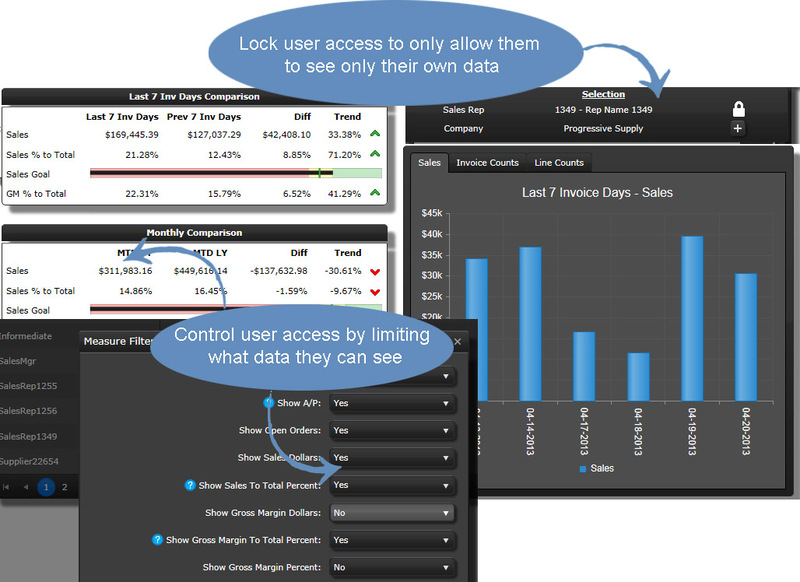 Turn off any chart, turn off any metrics and apply filters to only let certain data come through. From any chart drill directly into the data. See invoices, open orders, open items, open quotes, quoted items, a/r details and a/p details. 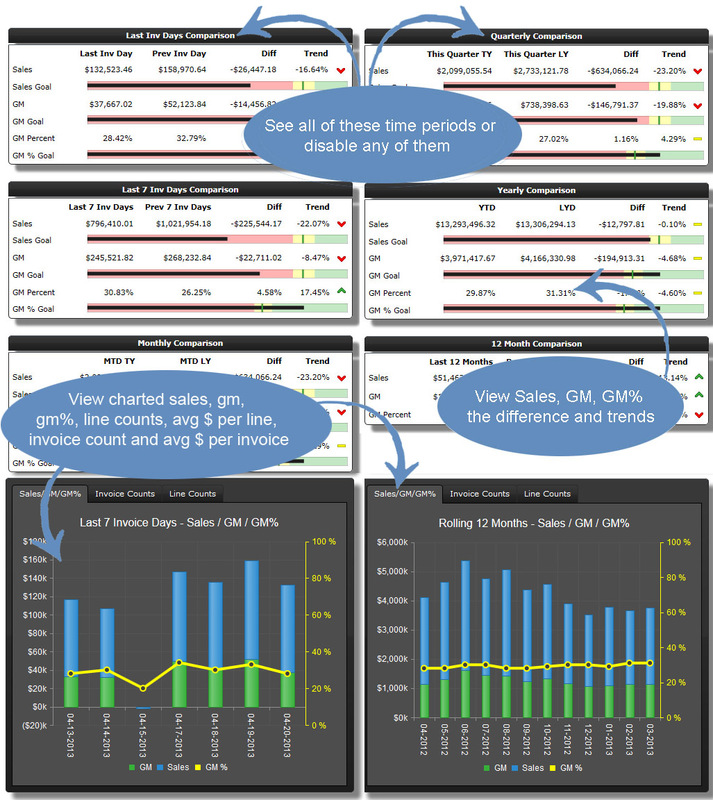 View your top 10, 20, 30 up to 100 by branches, sales reps, customers, vendors, product groups or items ranked by sales, gm, declining sales and declining gm. 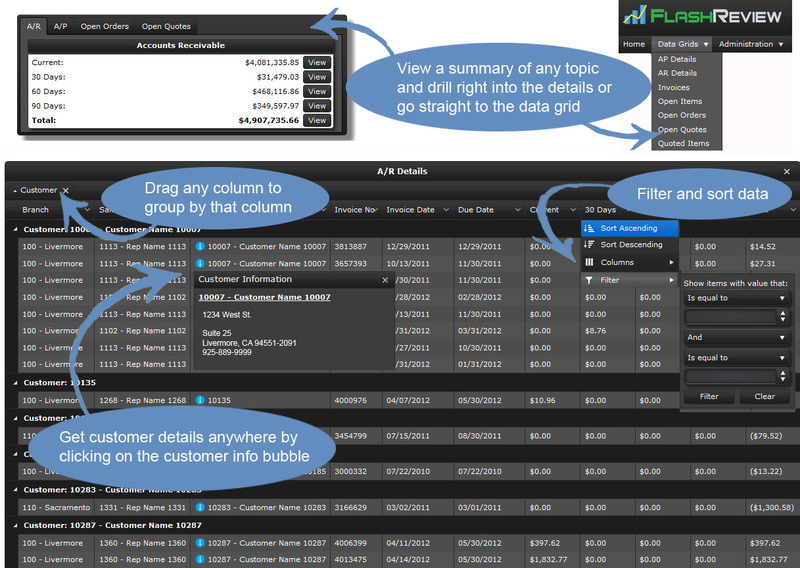 Enter sales targets for company, sales reps, branches, product groups or any combination of fields. You decide if you want to see targets for sales, gm, and/or gm%.